On Wednesday, December 3rd, 2014, an orange and white rocket over 50m tall weighing almost 300 tons launched from Tanegashima Space Center in southwest Japan and successfully sent the Hayabusa2 spacecraft hurtling into space. Its carefully calculated trajectory swung Hayabusa2 round the Earth to pick up speed so it could reach its destination in the asteroid belt between Mars and Jupiter. The target was the asteroid Ryugu, and Hayabusa2 arrived on schedule on Wednesday, June 27th, 2018. Since then, the spacecraft has used a wide range of cameras and instruments to collect images and data about Ryugu which it continually sends to researchers back on Earth. It has even made a brief soft landing in preparation for a second where it will collect loose surface material — regolith — to return to Earth. We’ll have to wait until 2020 before that sample returns, but researchers are far from idle in the meantime. 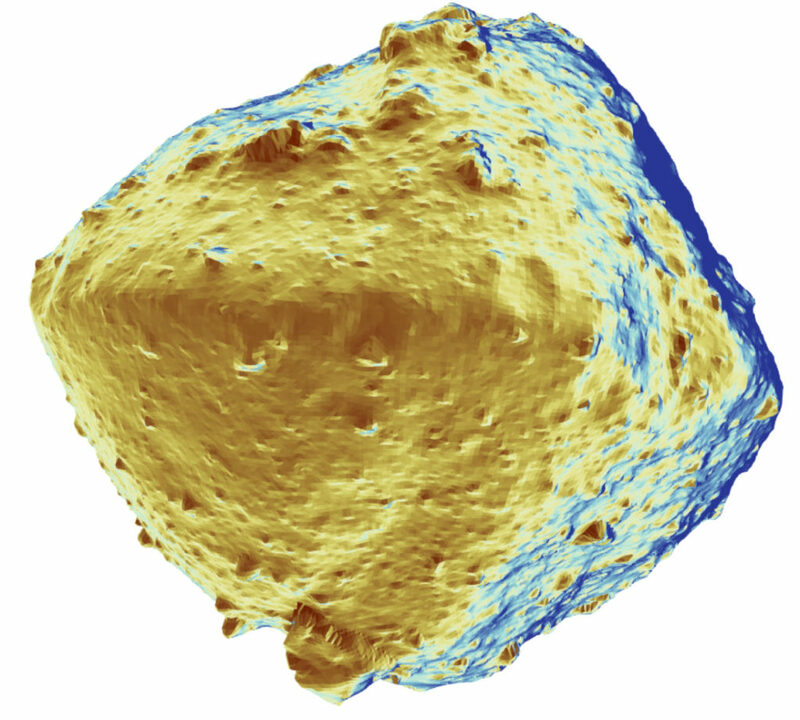 But there’s more to this than water; other compounds crucial to life exist in asteroids and Ryugu has some surprises here too. 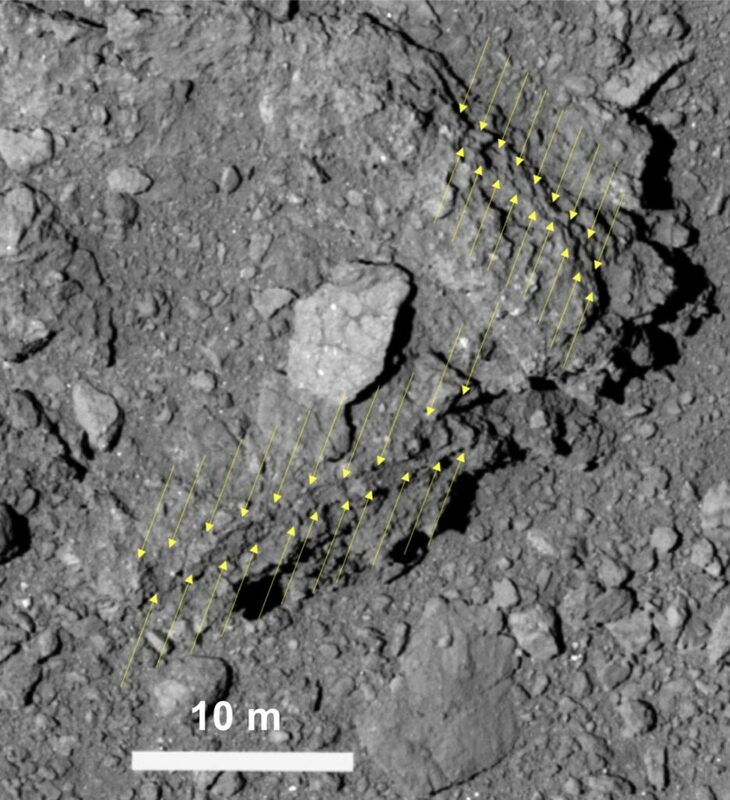 To understand why, it’s important to know that Hayabusa2 is not the only terrestrial robot out there exploring asteroids right now. 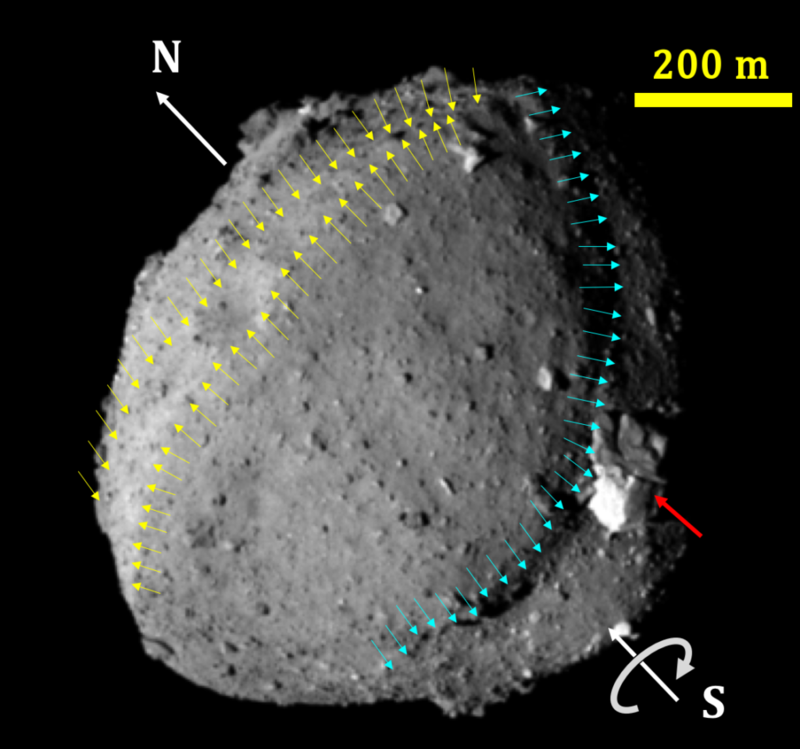 In 2016 NASA launched OSIRIS-REx which arrived at its target asteroid Bennu on December 3rd, 2018, four years to the day from the launch of Hayabusa2. As Hayabusa2 continues to explore our little rocky neighbor, researchers gradually piece together its history, which is entwined with our own. 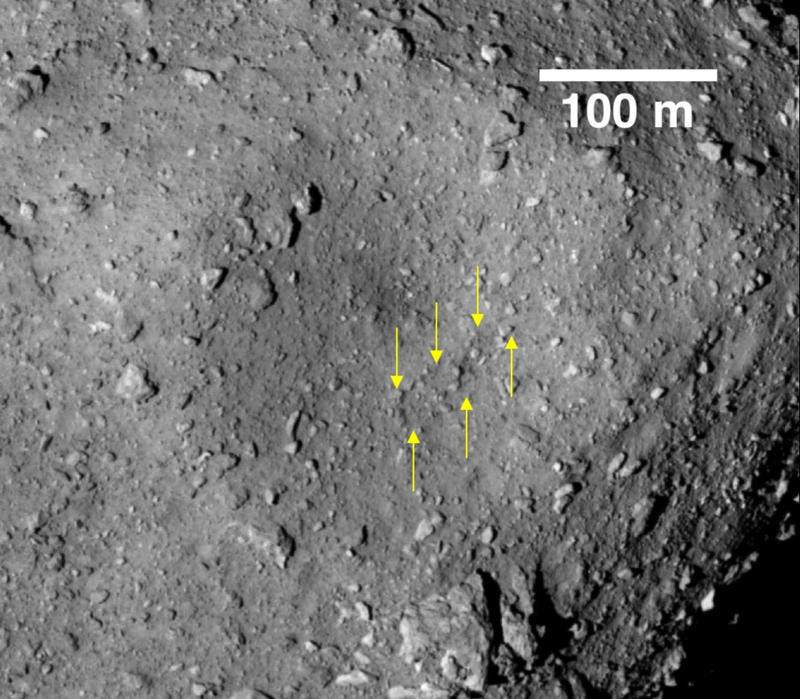 Sugita and his colleagues believe Ryugu comes from a parent asteroid several tens of kilometers wide, most likely in the asteroid families Polana or Eulalia.